“We are but two weeks away [actually now just one week away] from our major fundraising event happening here on the farm: The Gourmet Concertante. Taking place over the weekend of August 5th and 6th, we wil be featuring gourmet chefs Jamie Kennedy and Carey McLellan. In addition, the biodynamic winery, Southbrook Vineyards, and the local brewery, MacLean’s Ales, will be offering wine and beer tasting, and you will have the opportunity to purchase your favourites. And, of course, in addition to food, music is the other half of this event, and there will be much of it. On Friday evening, Toronto’s Music in the Barns presents a Concert Under the Stars on our outdoor stage. On Saturday, music will be performed on the stage as well as at other locations around the farm. Musicians include members of the Canadian Chamber Orchestra, violinist Emmanuel Vukovich, and Dominic Desautels, principal clarinetist with the Toronto Symphony Orchestra and the Canadian Opera Company. 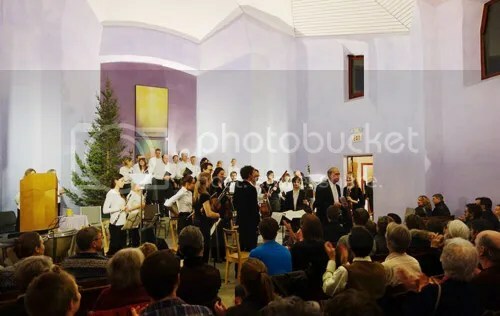 There was a capacity crowd at the Christian Community Church last Saturday Dec. 17th for the presentation of Handel’s Messiah, conducted by Michael Schmidt and presented by Symphony in the Barn. It was a moving performance for those lucky enough to be in the audience. 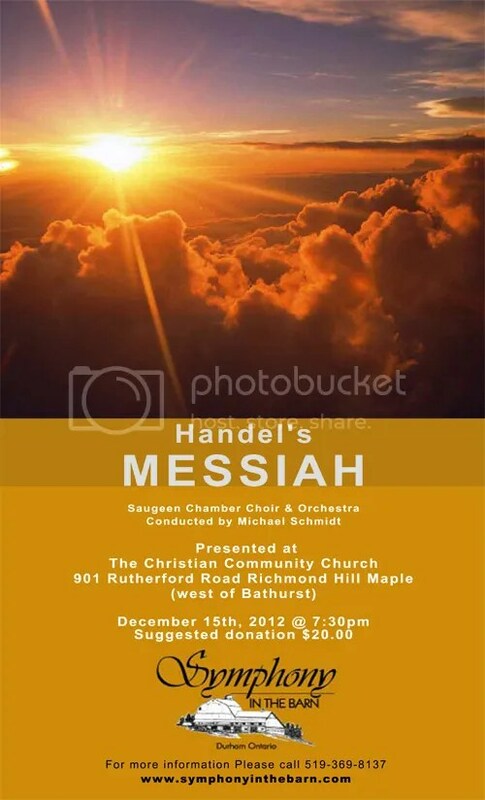 The Messiah was performed again the following Sunday, Dec. 18th, in Hanover. Performance tonight in Thornhill at the Christian Community church, at 901 Rutherford Rd, just past the Sobey’s plaza, going west past Bathurst St., on Rutherford Rd. By donation. 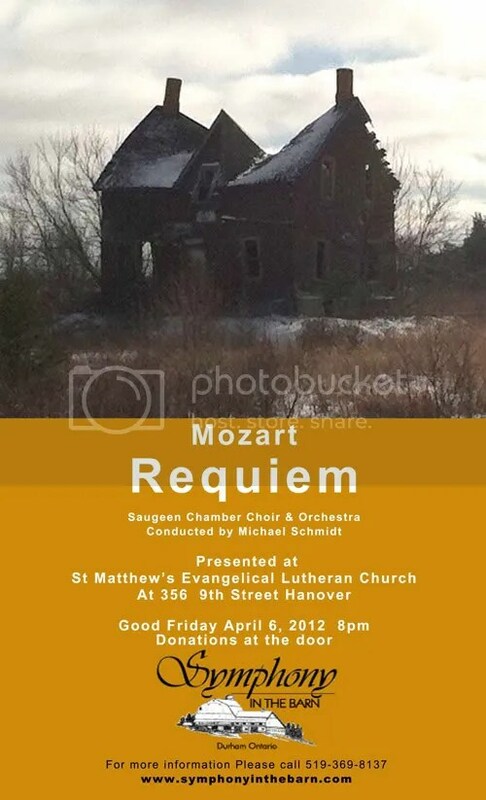 Tomorrow, Good Friday, another performance in Hanover. See details on poster below.